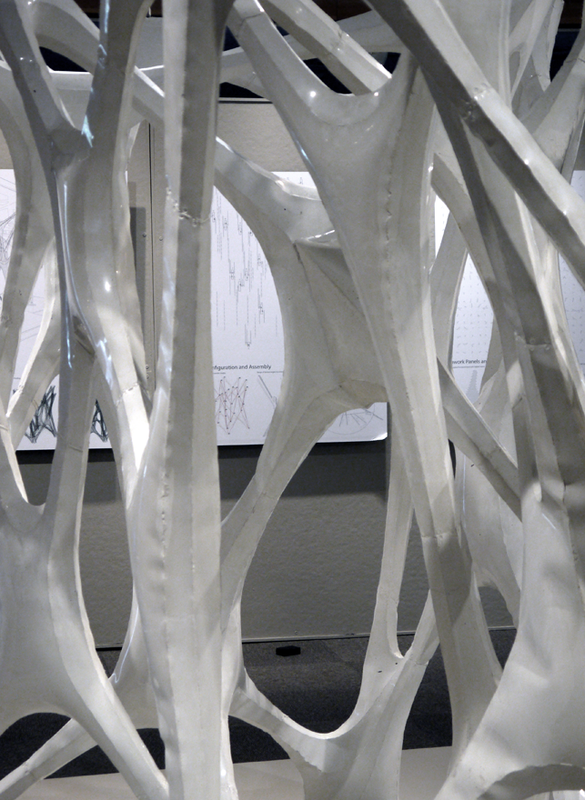 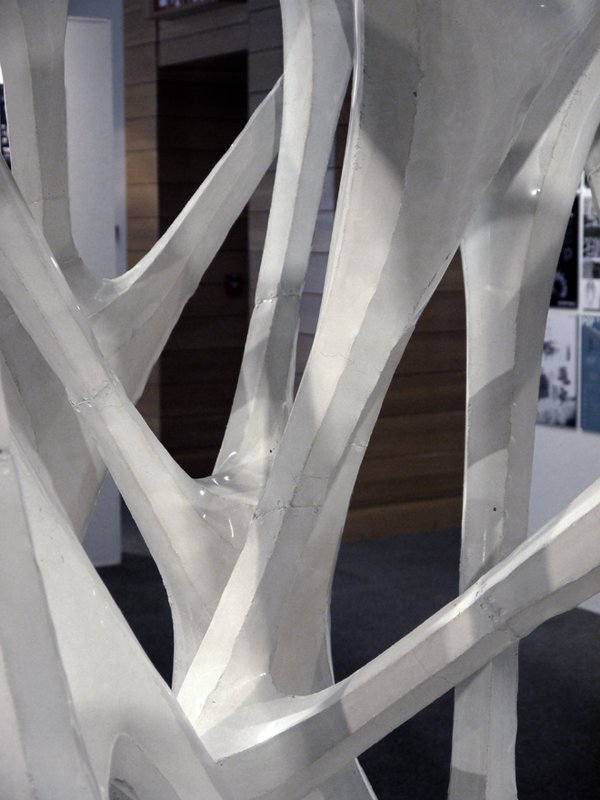 Addressing current issues related to the creation of tall concrete structures, Cast Thicket seeks to refine the typically heavy system of construction. 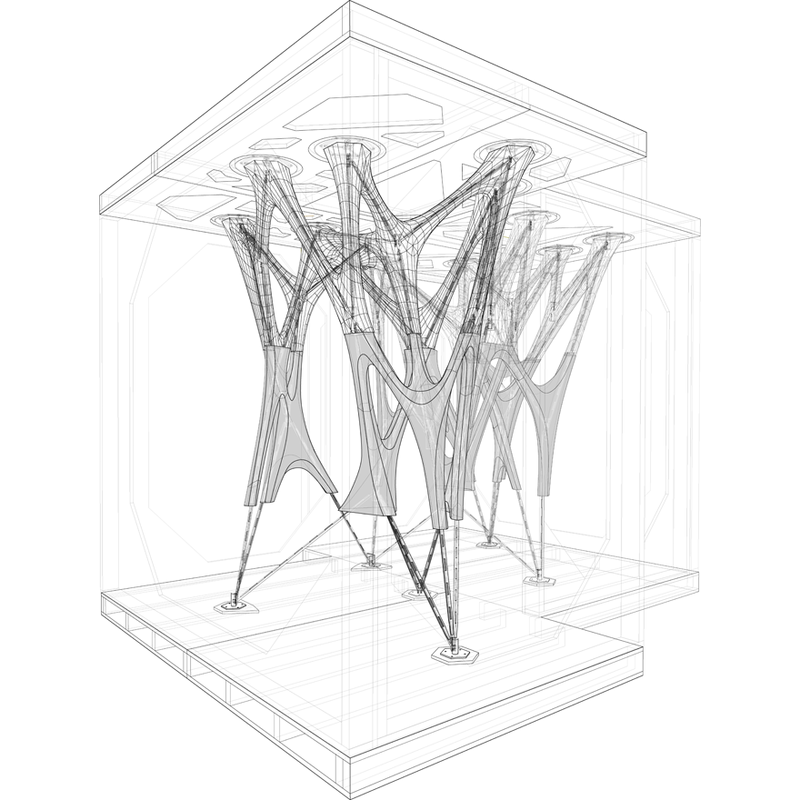 The project proposes three refinements to the site-cast concrete frame: replacing the steel formwork frame and rebar with prefabricated internal steel frame; replacing the plywood or steel forms with a thin membrane hung on the steel frame; and replacing the solid shear walls with a network of struts. 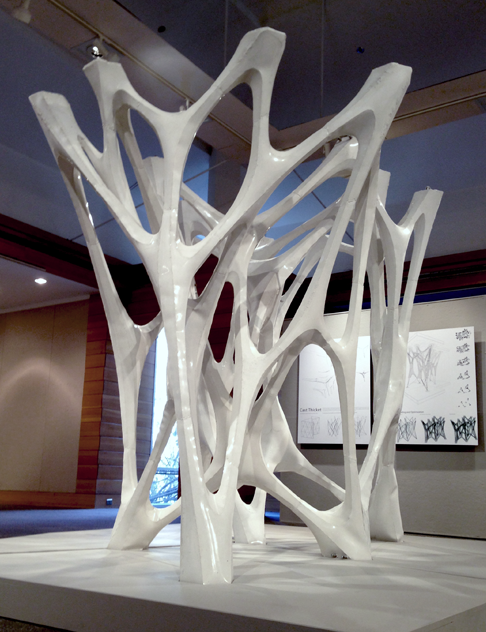 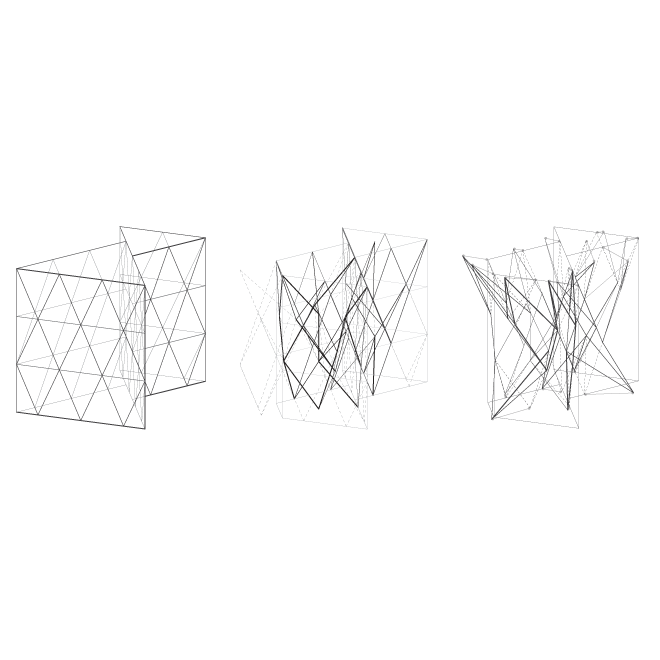 Through the use of lightweight formwork and a redundant structural system, and by leveraging the fluid materiality of concrete, Cast Thicket creates a mesh of thin members that disperse and coalesce to address structural and spatial needs. 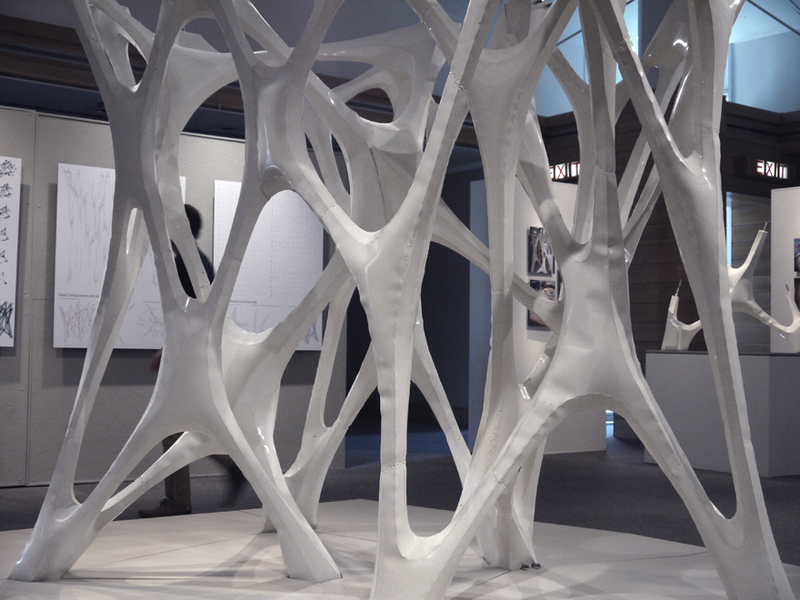 This work addresses current issues in creating tall concrete structures and seeks to refine the typically heavy system of construction.